Paul began djing in the summer of 2000 inspired by trance legends Oakenfold, Tiesto, Van Dyk and Ferry Corsten. Since then Paul has been developing his style, skill and sound. You can hear him drop a range of different genres from trance, techno, prog house & house. With the advance of the new digital age Paul realized there was a lot more to the music industry than being the average bedroom dj. In 2007, he invested in some producing equipment knowing the neccessary steps to make his dream become a reality. So far the endless hours of studio time put in seem to be paying off. On the production front Paul has received support from John Askew, Jon O' Bir, Des McMahon, Reeves & Ahern, Robert Gitelman, John Gibbons, Manuel La Saux and many more. 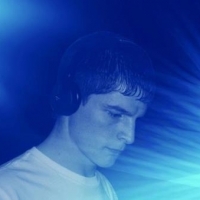 Also on the club scene he reeped the rewards of his popularity and is a resident DJ for Dublins Global NRG and has played alongside the likes of John O' Bir, Tom Colontonio, Gary Maguire, Dave Forbes and Chris Metcalfe, Indecent Noise, Neal Scarborough, Tucandeo & Walsh & McAuley.